Facebook has just rolled out a brand new way for you to look at your friendships. Starting today, if you want to see how you and a friend or family member are connected to each other, you can view a Friendship page that will display posts, photos, and events that you both have shared. It’s even better if you are “in a relationship” with a special someone. The social network has been set on helping better connect one another — almost like the social media version of “6 Degrees of Kevin Bacon” — and no longer will people have to wonder how they know that person who just commented on their status update. Let’s face it, there are probably a lot of people who sometimes wonder why they’re friends on Facebook with another person, and it’s usually because they forget that they were at the same party, did the same activity, or went to the same school. Now, Facebook’s Friendship page will give you that wonderful reminder. Things that you can view in a Friendship page include timeline posts you’ve exchanged, mutual friends, events you both attended, photos you’re tagged in, and what you like on Facebook. So nothing too creepy, but also enough information to rekindle that friendship. If you want to view a Friendship page, you can log into your Facebook account, go to a friend’s profile, click on the settings icon, and click “See Friendship”. 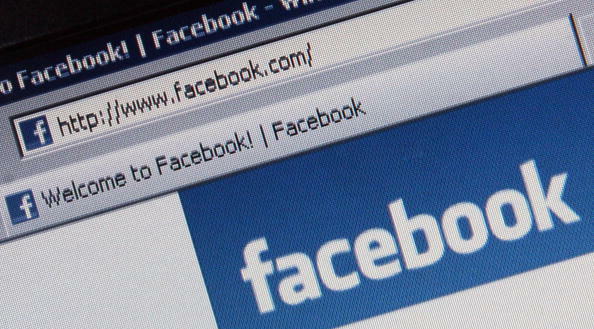 Facebook says that what you will see depends on your friend’s privacy settings. Once you’ve viewed a Friendship page, you have the option of sharing it with others on your Timeline. Facebook’s Friendship page is an evolution of its previous attempt to share connections. Before today, a simple version of this Friendship page was in existence, but wasn’t in the Timeline format that people have come to expect from the social network. In addition to all the things you have in common with your friend, you could also browse through how other friends knew that person. Today’s release is fundamentally a brand new design, but also gives some context into when you hanging out with your friend. Stepping back, today’s release also creates an interesting opportunity for Facebook’s Gifts service. 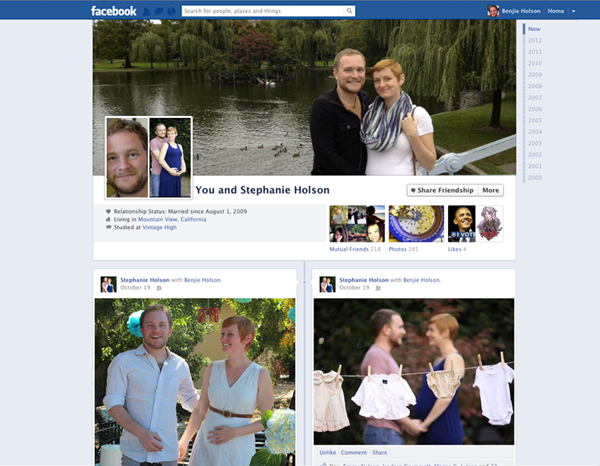 Now as you better understand the connections and your friendships, soon the social network may start to promote Gifts that you can send to others for their wedding, graduation, or other occasions — imagine if you were both tagged in wedding photos and then Facebook reminded you of your friend’s upcoming anniversary? The same thing goes with holidays and other events. This new feature has started to slowly make its way through the network and all users should be able to see the updated Friendship pages soon.